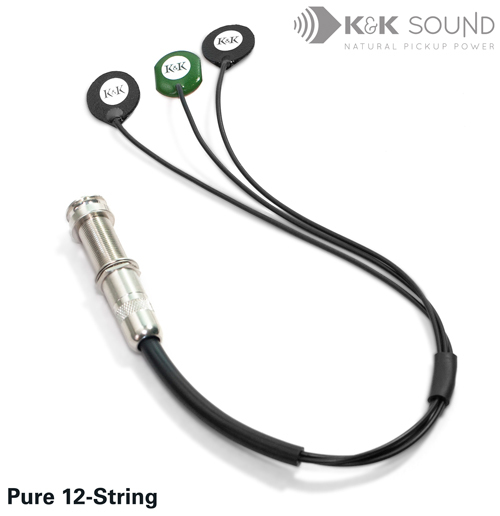 Pure 12-String: 3-head transducer for 12-string acoustic guitar. The larger pickup heads produce an extra strong bass response and pronounced midrange that sounds great in 12-string guitars and is a good alternative for guitars with heavy spruce tops and maple bridge plates. 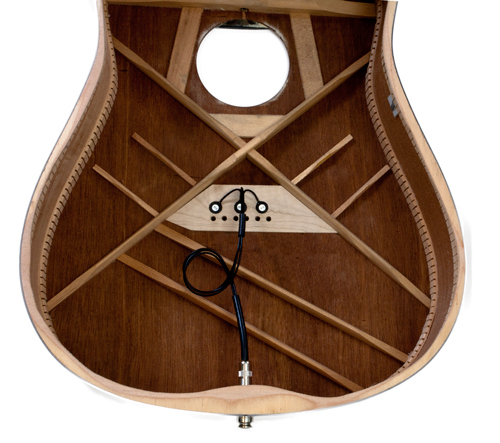 Pure 12-String: Because the pickup heads are quite large, please check the bridge plate size of your guitar before you order. Please refer to this original size diagram of the Pure 12-String. If the pickups do not fit, the Pure Mini is a good alternative.